2005 Winnabego Voyage 36 ft class A gas powered V10 motorhome for sale. 2 slides, slide awnings, window awning, large patio awning, hydraulic leveler so, queen bed, three door wardrobe, 9 storage drawers in bedroom with storage cupboards above bed, washer/dryer, 3 burner stove, oven, microwave, two air conditioners, power drivers seat, driver door with power window, powered sleeper sofa, dinette with storage under benches, euro chair, 2 televisions, toilet room, large shower, refrig/freezer, double sink with many cupboards for storage, am/fm stereo, generator, water heater, propane ducted furnace, new front tires. 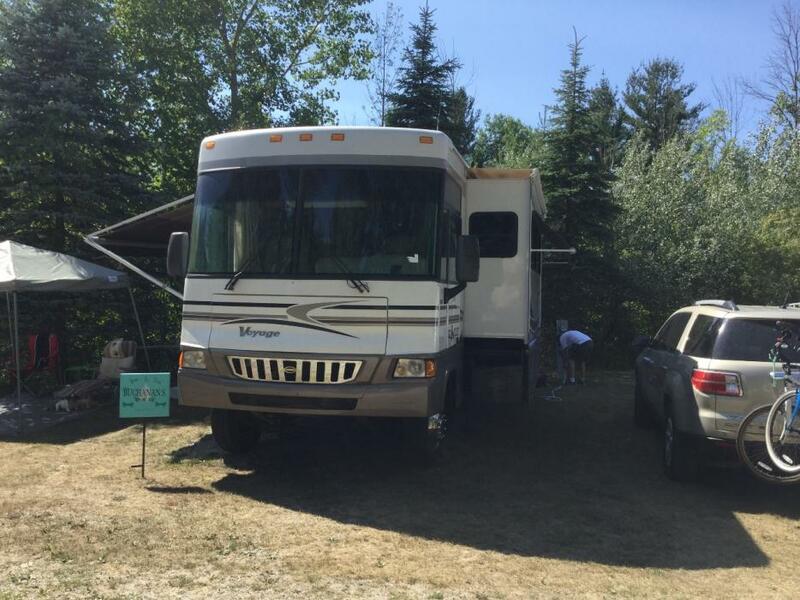 Currently set up in RV park Tawas City Mich. very good condition, non smokers. 49,630 miles. 44,900.00.